As part of a modernization and expansion project at San Ysidro Port of Entry, the southbound sides of Interstate 5 and I-805 will be temporarily closed south of state Route 905 this coming weekend. From 3 a.m. Saturday to noon Monday, all southbound traffic on I-5 and I- 805 will be rerouted onto SR-905, according to the U.S. General Services Administration. Motorists traveling to Mexico in San Diego over the period are advised to use Otay Mesa Port of Entry, about nine miles east of San Ysidro on Via de la Amistad. 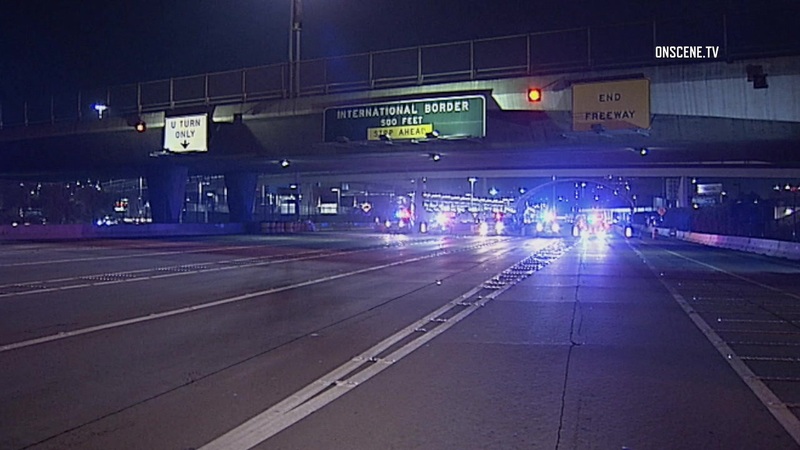 The closures will allow construction crews to disassemble a southbound vehicle-inspection canopy over I-5 at the border port. Additional road work and installation of underground utilities also will take place as part of around- the-clock operations during the closure. In addition, the three westernmost exit lanes to northbound I-5 will be closed for seven hours starting at 3 a.m. Saturday, and there will be limited closures of one to two lanes from 10 o’clock that morning through noon Monday. Following the 57-hour period of closures, the southbound sides of the two interstates will reopen in the area, with the exception of two lanes, a stretch of which will remain out of service south of the merger of the freeways near Camino de la Plaza. That lane reduction, from five to three, will remain in effect until Nov. 21, allowing for road improvements and infrastructure work. « Overlooked Human DNA Key to Breaking Down the Immune System?